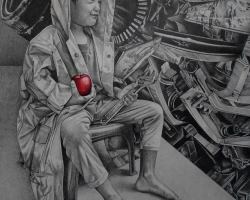 In most cases, the pencil is an important tool for any visual artist, used in the intermediate process of creating artworks, regardless of what medium or mode the final art piece may be. 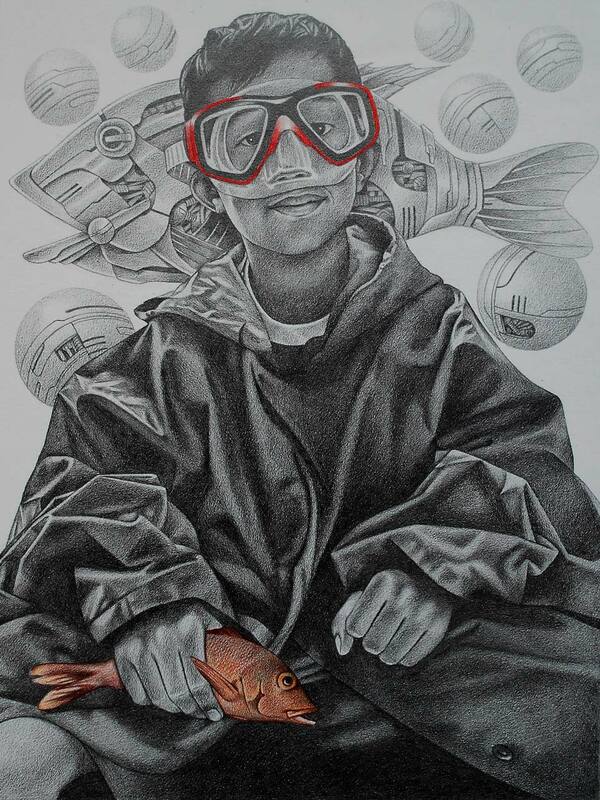 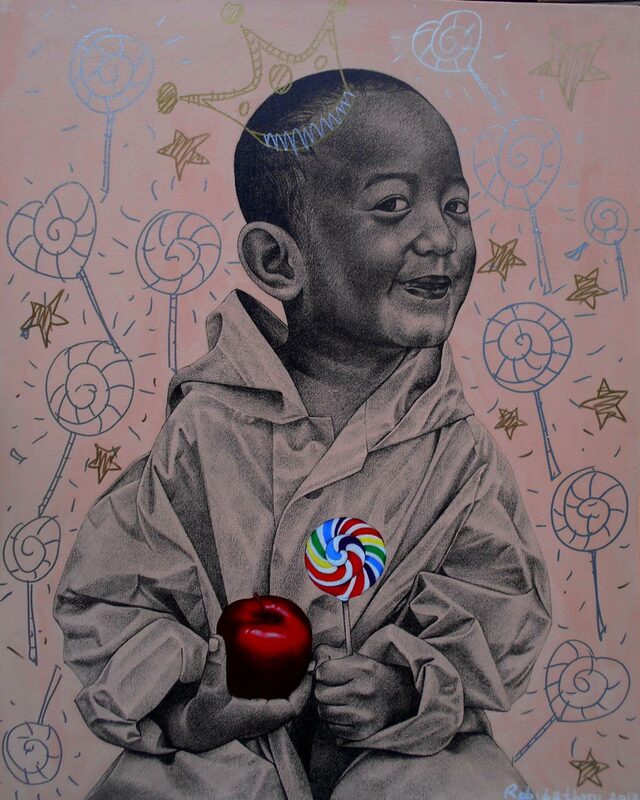 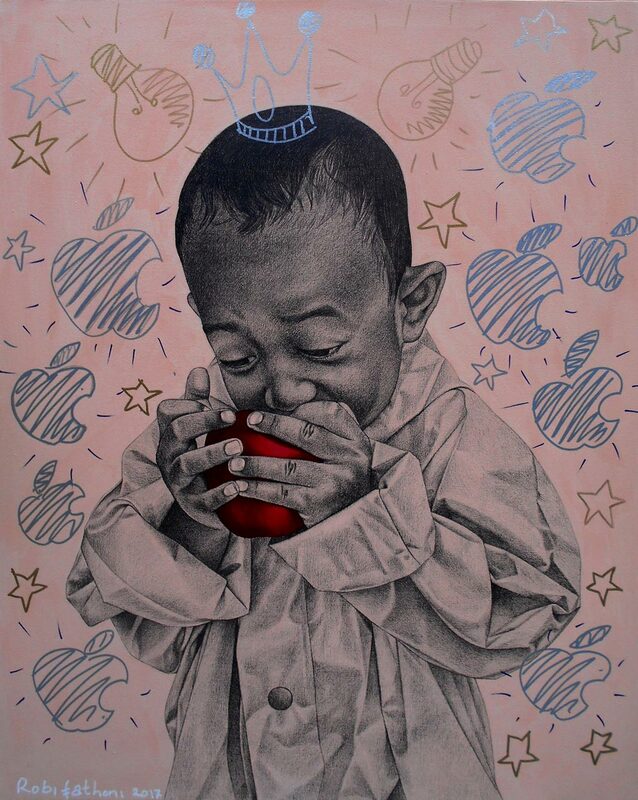 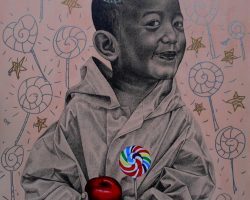 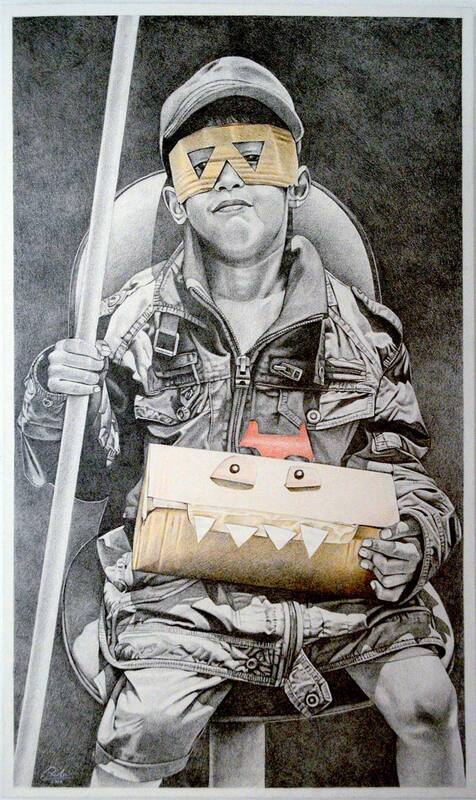 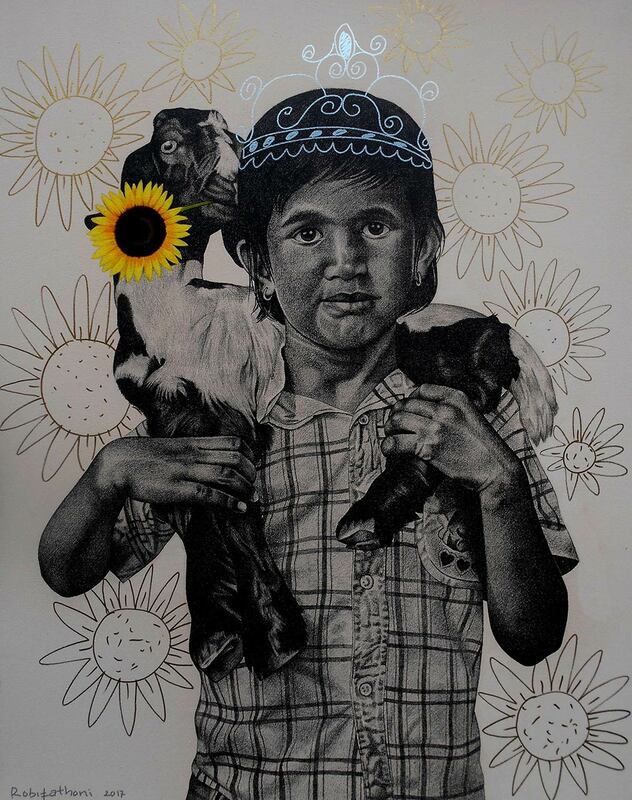 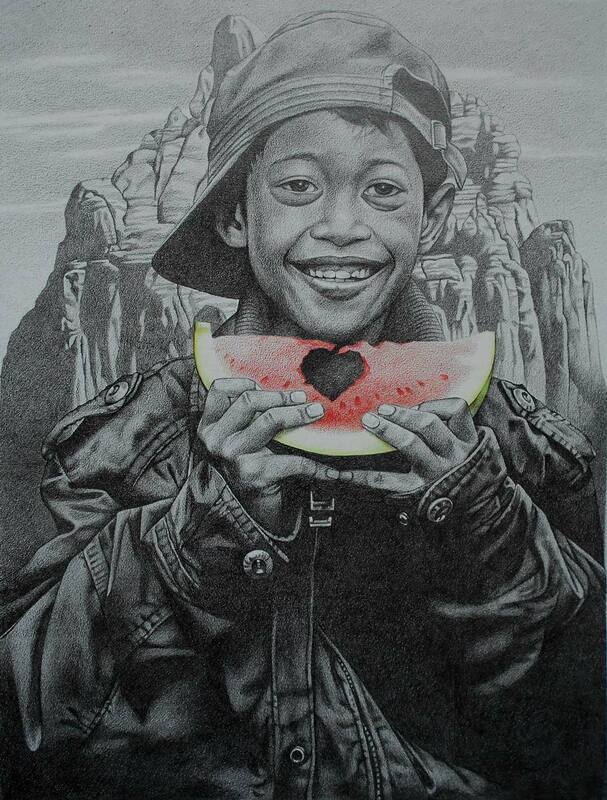 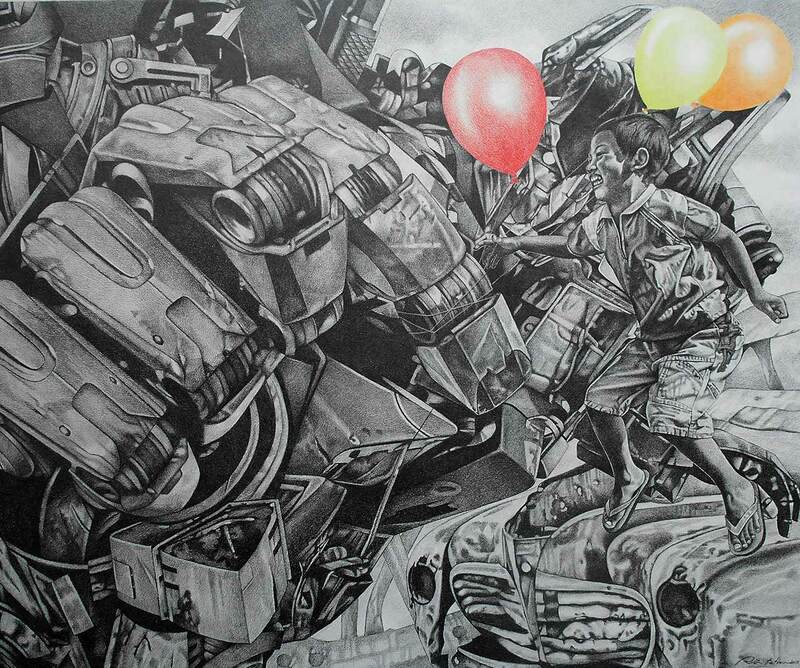 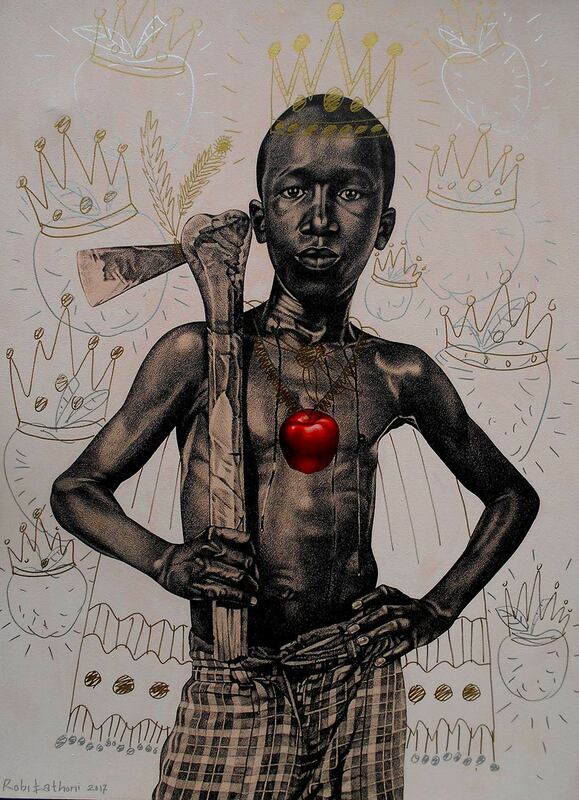 For Indonesian visual artist Robi Fathoni, however, the pencil is the primary medium he uses to create his art. 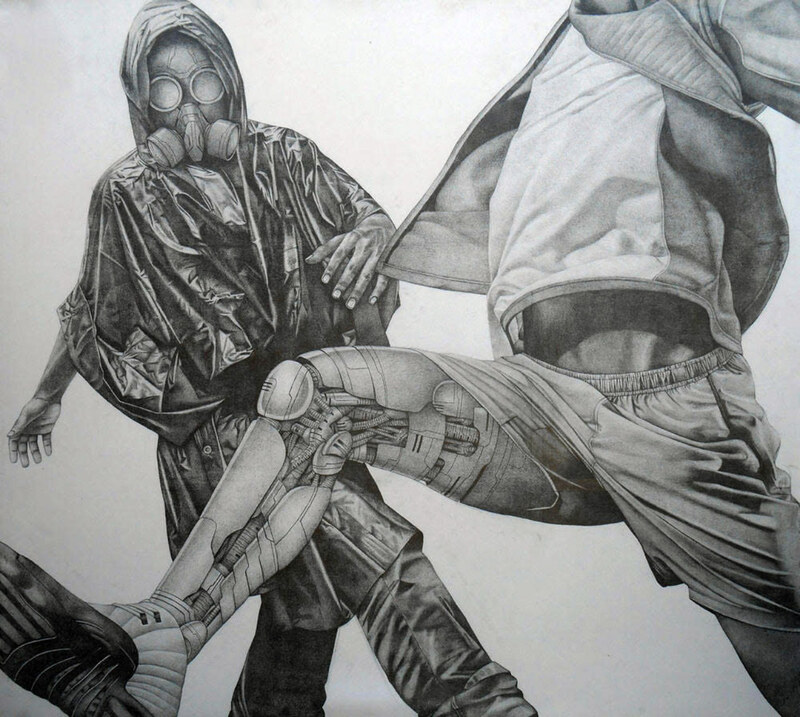 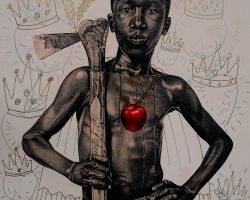 His realist graphite on canvas figurative works has earned him the reputation of being one of the emerging artists of his generation to look out for. 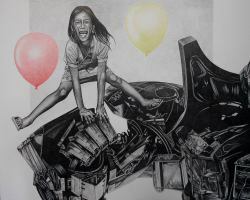 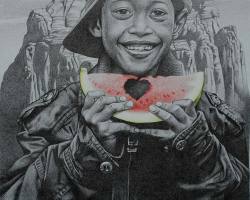 Having explored figurative expressions of adults in his earlier pencil works, his more recent drawings / paintings turn to children as the focus. 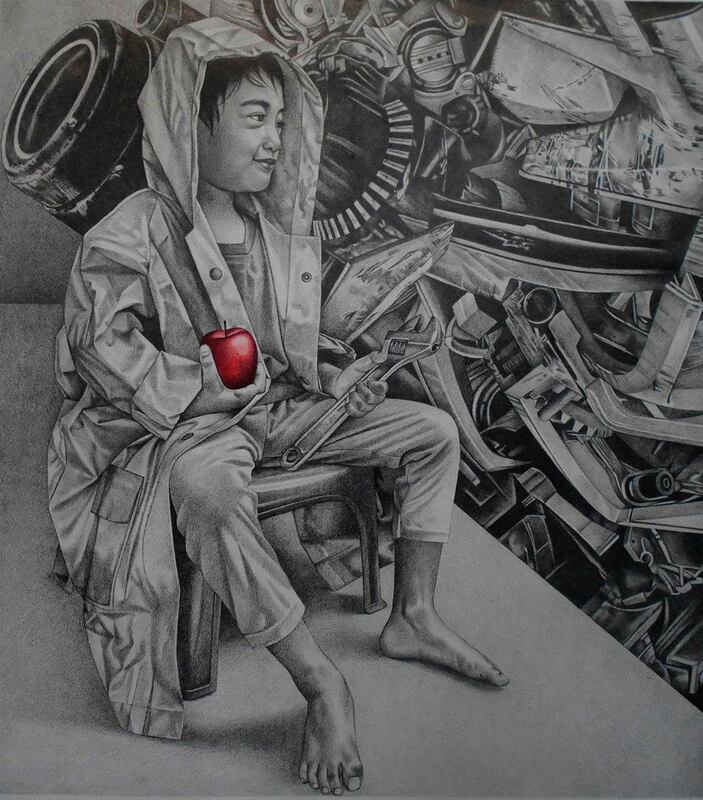 A father himself, Robi sees much of humanity’s dreams, hopes, and ambitions in the every day lives of children. 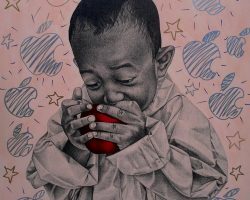 This is particularly evident in the five group exhibitions he participated in during Jogja Artweeks in 2016. 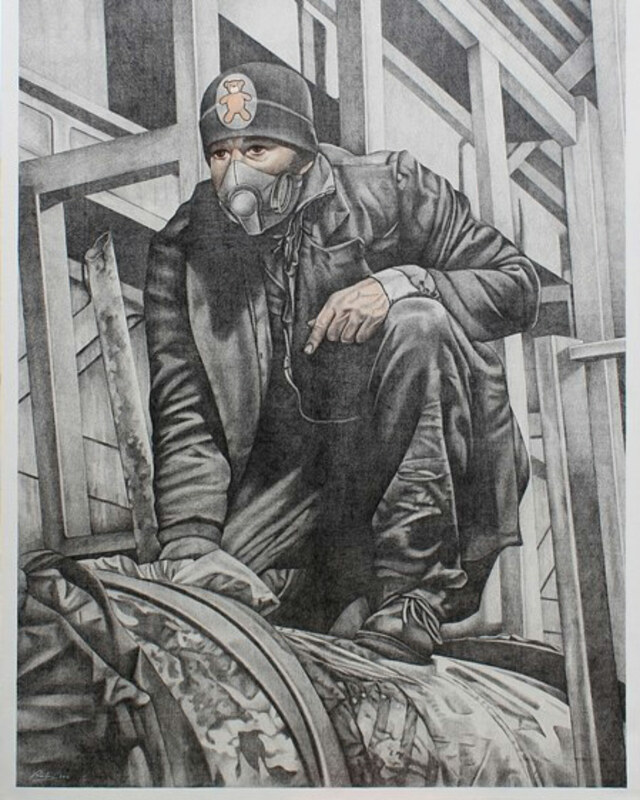 His mastery of the medium is best appreciated through the intricate drawings he produces, done mostly on canvas, usually with black graphite as the primary medium, augmented when necessary with the sparing use of color pencils and occasionally acrylic paint. 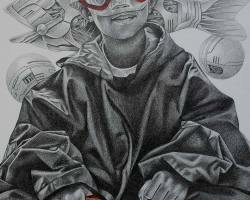 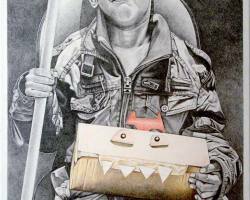 Those familiar with Robi Fathoni’s career will be aware that his pencil-based works weren’t always the mode of art the artist produced. 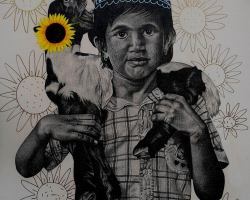 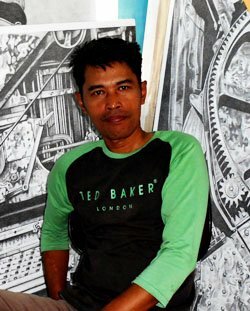 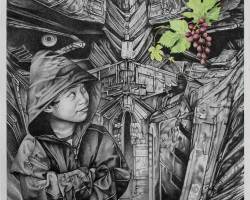 An active visual artist since his days as a student at the prestigious Institut Seni Indonesia (ISI), Robi has actively participated in many exhibitions since his student days. 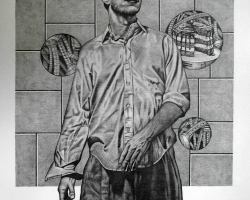 He has, in the past, produced oil paintings, dabbling for a short spell with mixed media works, and even attempted a brief period of producing abstract art. 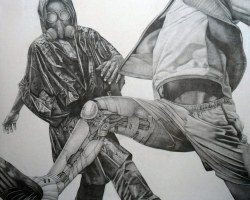 But he found his true calling when he experimented expanding his pencil drawings, then solely on paper, onto the canvas. 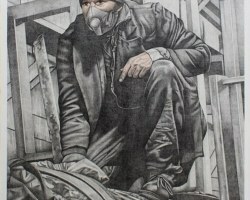 He found the expanse provided to him by the canvas liberating, allowing him to do much more than he could on paper. 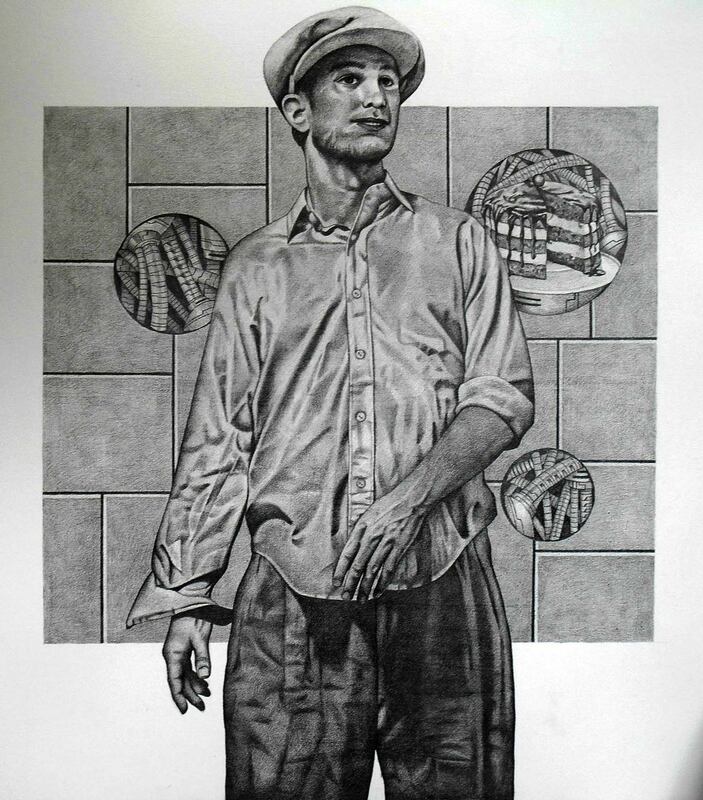 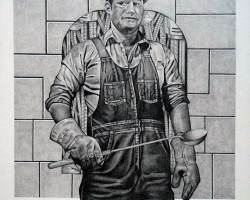 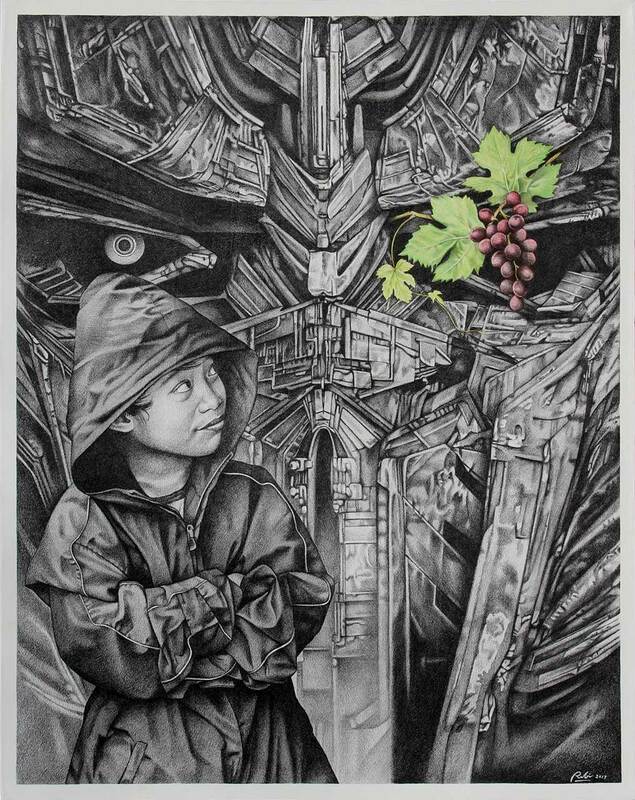 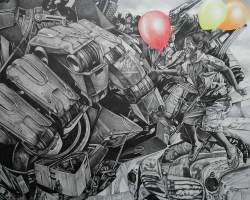 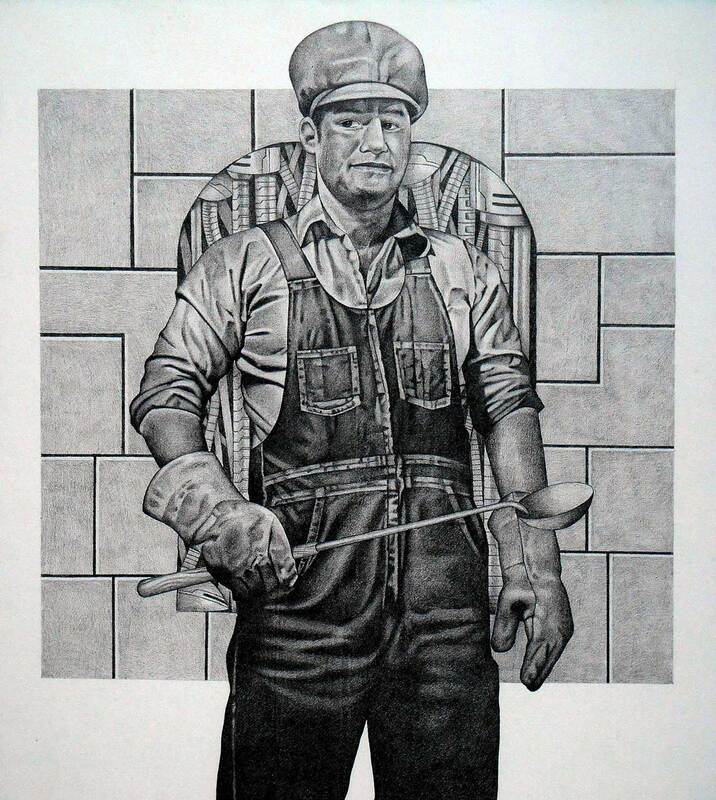 Robi has, through his works, elevated the status of pencil drawings to become final works on fine art, and may today be considered quite unique in his approach among his artist peers.